Those talent chaps at Deep Cut Studio have been at it again. 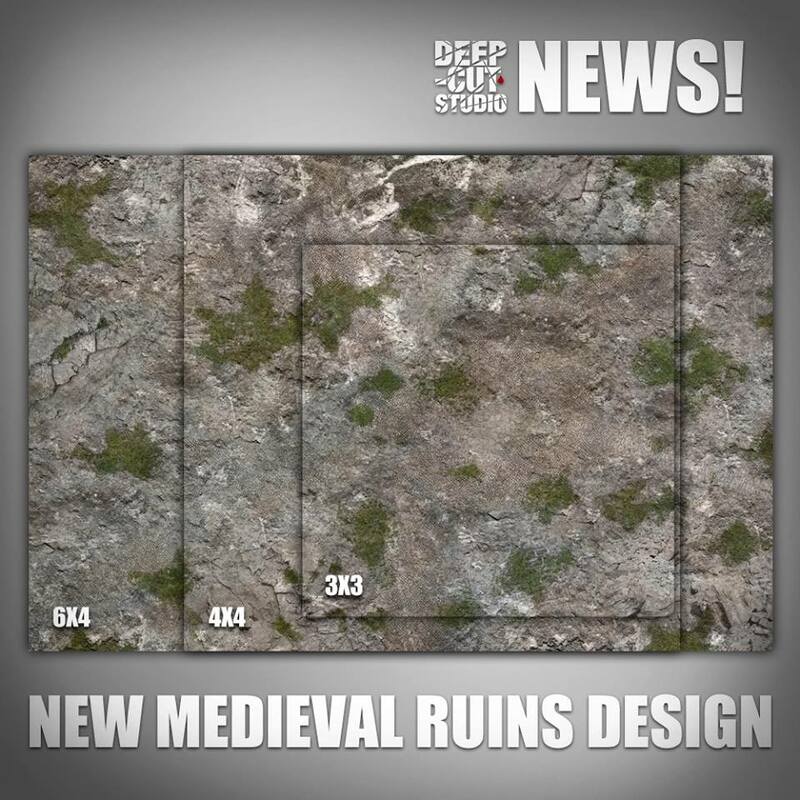 Hard on the heels of their Muddy Field release, followed by a particularly squelchy-looking Alien Planet mat (sure to find a home amongst certain sci-fi horde army players, I’m sure) they have released a new Medieval Ancients Ruins mat. On first seeing it, my immediate thought was that it would make a great mat for playing Frostgrave, although DCS already produce a specific Frostgrave mat. Think of this as Frostgrave, minus the Frost. As with all their mats, it’s available in 3×3, 4×4 and 6×4 sizes, in PVC, Cloth and Mousemat materials.